Have you “herd”? 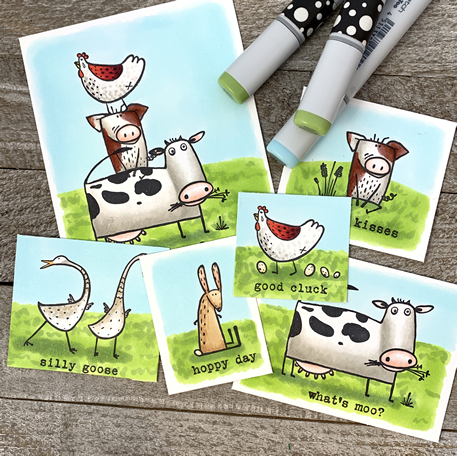 Michelle is teaching a Copic coloring class featuring the Tim Holtz Funny Farm images! You’ll complete 6 small card fronts & your kit will have supplies and instruction to complete 4 cards. HAY…don’t wait too long to register because this class will fill quickly! All class supplies will be provided including Copic Markers to borrow during class time. If you choose to bring your own markers, please mark them so they don’t get mixed up with class sets.